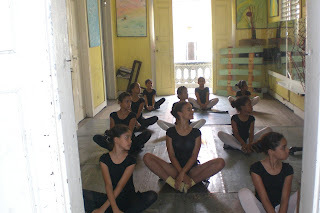 NUESTRA INSTITUCION CULTURAL , CUENTA CON UN PROGRAMA DE BECAS EDUCATIVAS , PARA NIÑOS , JOVENES Y ADULTOS DE ESCASOS RECURSOS , N EL AREA DE : BALLET CLASICO , TEATRO , PINTURA , DANZA , PIANO ETC . TU PUEDES AYUDARNOS A EXTENDER ESTE PROGRMA . APADRINANDO A DOS NIÑOS , POR UNA CUOTA MINIMA DE 500 $ DOMINICANOS AL MES , OSEA 4500 $ DOMINICANO POR EL AÑO ESCOLAR QUE DURA 9 MESE . PUEDES APADRINAR A TODOS LOS NIÑOS QUE DESEES . OTRA FORMA DE APOYAR NUESTRA CAUSA , ES HACIENDO DONCIONES , DE : LIBROS ARTISTICOS Y CULTURALES , PARA LA BIBLIOTECA DE NUESTRA ESCUELA , DONANDO , LEOTARD , ZAPATILLAS DE BALLET , MEDIAS , MAQUILLAGE , VESTUQARIOS , MASCARAS , PINCELES , LIENZOS , ACRILICO , PELUCAS , LUCES , SONIDOS, DVD, CD , VIDEOS , INSTRUMENTOS MUSICALES , TALES COMO : FLAUTAS , ORGANOS , TAMBORAS . GUITARRAS , EN FIN LO QUE QUIERAS , INVOLUCRATE Y HAS POSIBLE EL SUEÑOS DE ESTOS NIÑOS . TAMBIEN PUEDES AYUDAR ADQUIRIENDO DOS DE NUESTRO TICHERS CON EL LOGO DE NUESTRA FUNDACION , POR EL INCREIBLE APORTE DE QUINIENTOS PESO POR LOS DOS , O LO PUEDES ADQUIRIR POR DOCENAS O CANTIDADES MAYORES . SI DESIDES APOYARNOS CON RECURSOS ECONOMICOS ENCONTRARAS UNA FICHA , QUE DEVES LLENAR , LA CUAL TE INFORMARA COMO PUEDES HACER TUS APORTE DE DINERO EN LA CUENTA DE NUESTRA FUNDACION . PARA OTRO TIPO DE APORTE SOLO TIENES QUE DIRIGITE A NUESTRAS DIRECION , O LLAMANDO A NUESTROS TELEFONOS . QUE RESIVES POR TUS APORTES ? : CADA TRIMESTRE RESIVIRAS UNA TARGETA DE LOS NIÑOS QUE APADRINES CON SUS FOTOGRAFIAS DNADOTE LAS GRACIAS POR TU APOYO , Y TAMBIEN TE INVITAREMOS A SU GRADUACION , Y TE ENTREGAREMOS UNA COPIA DE SU CERTIFICADO DE GRADUACION. Y LO MAS IMPORTANTE, ESTARAS CONTRIBUYENDO PARA HACER REALIDAD EL SUEÑO DE CADA NIÑO . ANIMATE , TU TAMBIEN PUEDES AYUDAR . ACTUACION PARA ADOLECENTES Y ADULTOS : MARTES Y JUEVES , DE 6 :00 PM A 8 :00 PM . ACTUACION PARA CINE Y TV : TALLERES INTENCIVO . 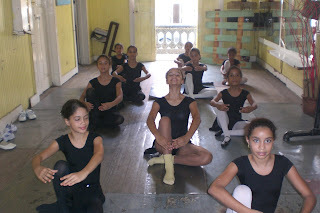 BALLET CLASICO : SABADO DE 8:45 AM A 10 :00 AM , PARA NIÑAS DE 8 A 14 AÑOS . BALLET CLASICO : SABADO DE 10 :15 AM A 11: 45 AM . BALLET CLASICO : MARTES Y JUEVES , DE 3 :00 PM A 4 :00 PM . PARA NIÑAS DE 8 A 14 AÑOS . BALLET CLASICO : MARTES Y JUEVES , DE 4: 00 PM A 5 : 00 PM PARA NIÑAS DE 3 A 7 AÑOS . PINTURA PARA NIÑOS : SABADO DE 10 :00 AM 12 :00 AM . DAMZA CONTEMPORANEA : PARA ADOLECENTES Y ADULTOS , MARTES Y JUEVES , DE 6 : 30 PM 8 :00 PM . PIANO : LUNES Y MIERCOLES DE 9 :00 AM A 11 :00 AM PARA NIÑOS DE 8 A 14 AÑOS .. PIANO : MARTES Y JUEVES DE 9 :00 AM A 11 :00 AM , PARA ADULTOS . MERENGUE , SALSA , BACHATA , SEPCIONES INDIVIDUALES , PARA EXTRANGEROS Y DOMINICANOS ..
CREATIVIDAD INFANTIL : LUNES , MIERCOLES Y VIERNES . PARA NIÑOS DE 3 A 6 AÑOS .